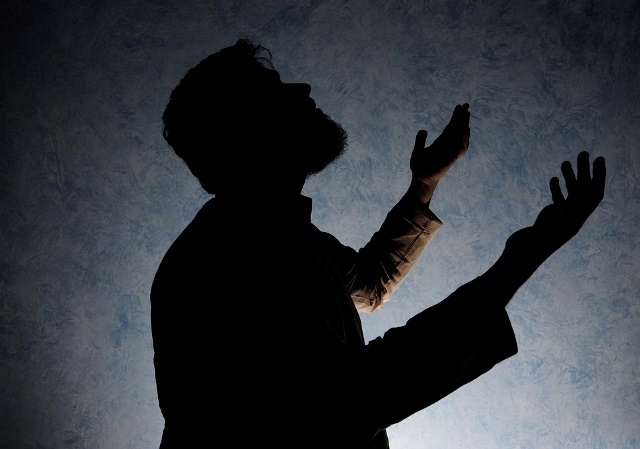 Everybody knows the situation when one feels a certain inertia and because of this feeling it becomes difficult for him to perform specific tasks, apart from how important these tasks are for him, whether it is an Islamic duty, organic needs, desires or instincts, caring for children, economic profit, study or even small household tasks. It’s like there’s an obstacle in the way, that prevents from doing something and this obstacle cannot be eliminated and that sway unfortunately the specific task can also not be performed. This situation is the situation of laziness. Laziness can be very dangerous for a Muslim and can discourage him from the Dawah activity, which is mandatory and also very important in nowadays reality of the Ummah without the Khilafah. If a Muslim feels this kind of laziness towards the Islamic Work for the reestablishment of the Khilafah or other Islamic obligations, then he should wonder why he is in this Situation and have this felling of inertia. There are some researches in the world about the situation of Laziness. The capitalistic mentality is also affected by this problem. Because of the economic difficulties in the past years various scientific institutes were concerned with laziness because they want find out if the laziness of the workers have an effect on the economic development or not and way workers become lazy. Tyler Cowen, a professor of economics at George Mason University said that American workers have become lazy and this is causing the U.S. to stagnate economically. The latest State of the American Workplace Report estimates that disengaged workers cost the U.S. between $450 and $550 billion in lost productivity each year. According to a 2015 study conducted by Eden Springs it found that almost half of UK workers are unmotivated and lazy at work and a similar survey carried out by Global health insurance (BUPA) concluded that 46% of workers don’t put extra effort into their role. So because the capitalists have realized that their workers have become lazy in recent years and work less and disagreement and this would lead to an economic disadvantage, they have led studies of why someone might get lazy. Some studies about motivation suggest that laziness maybe caused by a decreased level of motivation. For the capitalists, it means that their workers work worse due to lack of motivation and this leads to a disadvantage for the company. For us Muslims means this, that if someone becomes negligent and lazy in the execution of his Dawah work, so it may be due to a lack of motivation which leads him to fail to perform the Islamic duty properly. The biggest drawback of this is that it damages his own Akhira. The next question can be, when get people lack of motivation? A study done at Carnegie Melon University revealed that people lack motivation when they find little value in the projected outcome of their work. However, if people are able to clearly see how their work connects to their interests, goals, and concerns, they are more likely to value their work and be motivated to invest their energy into it. The case of the capitalist workers is that they are exploited for the interests and the goals of others, and therefore it is understandable that after some time they become demotivated at work and thereby tend to laziness. For us means this, that it is virtually impossible for a Muslim who works for the good pleasure of Allah swt and the Akhira, to become demotivated in his Islamic duties and also in the obligation of the reestablishment of the Caliphate upon the Method of the Prophethood. Once he understands that life is just a test and it is only about who lives according to the laws of Allah swt, he will automatically invest a lot of energy and potential in achieving his interests, goals and the end result. Also Australian researchers have identified a new condition characterized by extreme laziness: motivational deficiency disorder (MoDeD). MoDeD is described as overwhelming and debilitating apathy. Consequently is lack of motivation when someone: losing interest quickly, not finishing things that he have started, procrastinating and putting off doing things, avoid doing things, being passive, thinking that he are weak, feeling trapped, feeling misunderstood, feeling lonely, dull and gloomy, wanting to improve his life, but not doing anything about it, having no objectives or goals, or ambitions and knowing that he could achieve more, but don’t have the confidence to face new challenges. Motivation in Latin “movere” is something what moves the humankind to do something. Motivation is the inner drive. It’s what powers to take action. Consequently, if a person realizes that he has become lazy in the execution of his Islamic duties as well as the Dawah work, he should consider whether he has enough motivation for these tasks. The motivation for a Muslim is only the pleasure of Allah swt and the eternal Paradise. This means that he must always remember his goal so that he always remains motivated and always moves forward with zeal and sincerity and fulfills his Islamic obligations. The Muslim must have clear Islamic concepts about the life and that he fulfill his duty not out of compulsion but out of his own will. So the likelihood is higher that the clear concepts help him not to lose sight of his goal and thus he will not fall into the claws of this Dunya. The lore about hell does not allow us Muslims to become lazy and careless in our Islamic obligations at all, as well as the cruel reality of the Ummah which does not allow us to be lazy in the Dawah for the Khilafah (Caliphate).